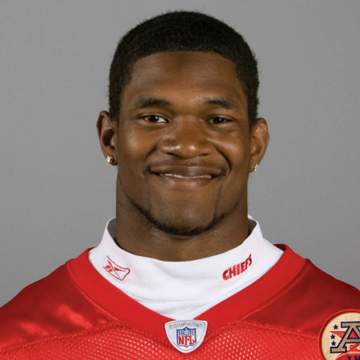 Kansas City Chiefs linebacker Jovan Belcher had a blood-alcohol level more than twice the legal limit when he shot his girlfriend nine times and then killed himself in front of his coach and general manager, an autopsy released Monday showed. The Jackson County Medical Examiner report on Belcher, 25, raised new questions about whether police should have done more before the Dec. 1 murder-suicide. Officers found Belcher sleeping in his idling car about five hours earlier, but let him go inside a nearby apartment to sleep it off. At the time of the autopsy, Belcher's BAC was 0.17, more than twice the limit of 0.08 percent for Missouri drivers, and it was likely higher when he shot girlfriend Kasandra Perkins, 22, at the couple's Kansas City home. A police report released previously said Belcher had gone out the night before with a woman he was dating on the side while Perkins attended a concert with her friends. Police who found Belcher sleeping in his Bentley outside the woman's apartment told him to turn off the ignition and he complied, the report said. The report said Belcher "initially displayed possible signs of being under the influence (asleep and disoriented)." But the report added that after a few minutes of being awake his "demeanor and communication became more fluid and coherent." The report added that officers didn't smell alcohol on Belcher, and that there were no signs of him being "violent or emotionally unstable." Under both city ordinance and state law, it is illegal to operate a motor vehicle while intoxicated, city prosecutor Lowell C. Gard said in an email. He said a vehicle doesn't need to be in motion for it to be determined that the person behind the wheel was operating it. "Operation has been defined in Missouri courts to include a wide range of activity, including sitting behind the wheel of a parked car with the engine running, and sitting alone behind the wheel of a parked car with a warm, but shut off, engine," Gard wrote. "However, problems of proof arise when the arresting officer must provide evidence of that operation contemporaneous with intoxication." Kansas City police Sgt. Marisa Barnes said in an email she wasn't aware of anyone being disciplined over the case. Even if they were, she said, she wouldn't be able to discuss it. Belcher asked the officers who found him if he could stay inside the apartment for the night. Belcher tried to call his girlfriend, but she didn't discover the missed calls until the next morning. Two women who were up late invited Belcher to wait inside their nearby apartment after he explained his plight. They said Belcher "appeared to be intoxicated" but "seemed to be in good spirits," the police report said. Belcher slept on their couch for a couple hours, leaving at 6:45 a.m. so he could make it to a team meeting planned for later that morning. Upon arriving at the home he shared with Perkins, the couple began arguing. Belcher's mother, Cheryl Shepherd, who had moved in with them about two weeks earlier, heard multiple gunshots and ran to the bedroom, where she saw Belcher kneeling next to Perkins' body, saying he was sorry. The autopsy report says Perkins was shot in the neck, chest, abdomen, hip, back, leg and hand. After kissing Perkins, his baby daughter and his mother, Belcher drove to Arrowhead Stadium. The autopsy said Belcher shot himself in the right temple as coach Romeo Crennel and general manager Scott Pioli looked on. The infant, Zoe, is the subject of a custody fight between relatives of Belcher and Perkins.